Jukumu Letu (kiswahili = Our Responsibility) - jukumukenyas Webseite! Jukumu Letu is a vibrant and life-giving community based organisation, working with young orphans and vulnerable children (OVC), women and families. We are situated in Ngong, near Nairobi and also in Bunyore, Western Kenya. Our main aim of working with family members, is to improve the psychosocial, physical and cognitive development of young OVCs from birth to completion of primary school, through a holistic range of practical and accessible interventions. Transformed communities where individuals believe in their own abilities and work together to build a vibrant and progressive society. Nurturing and inspiring individuals to develop and fulfil their unique selves in order to transform and impact the global village. 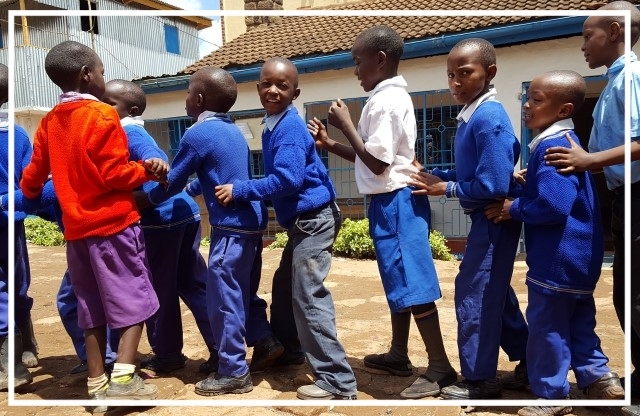 Starting in 2007 as a day care centre offering a safe and caring atmosphere, Jukumu Letu, kiswahili for our responsibility, focused on young orphans and vulnerable children (OVC). It was discovered that many families with children below school going age, living in the Mathare slum of Ngong town were in desperate need of support; empowering these carers and their children was vital. Extreme levels of poverty, day to day struggles of menial employment and a lack of adequate or affordable child care facilities were obvious reasons to begin a day care centre. Jukumu Letu immediately enabled older siblings or care-givers attend school or work. For very similar reasons, in 2009, a second centre was started in Bunyore, Vihiga County, Musitinyi Village, Western Kenya. As the children grew to school going age it became necessary for Jukumu Letu to continue to kindergarten and later primary school level which is now in it´s fifth year. Jukumu Letu’s main focus has grown to include: improving psychosocial, physical, cognitive and cognitive development of young OVCs and working with and empowering family members.